We have seen Facebook contests of all kind, but this “Grand Reunion 大团圆” contest by Dian Xiao Er is really quite different and fun. This is based on the reunion dinner that the Chinese will hold on Chinese New Year Eve. To join the contest, you must ‘host’ a table of table of 10 (including yourself). 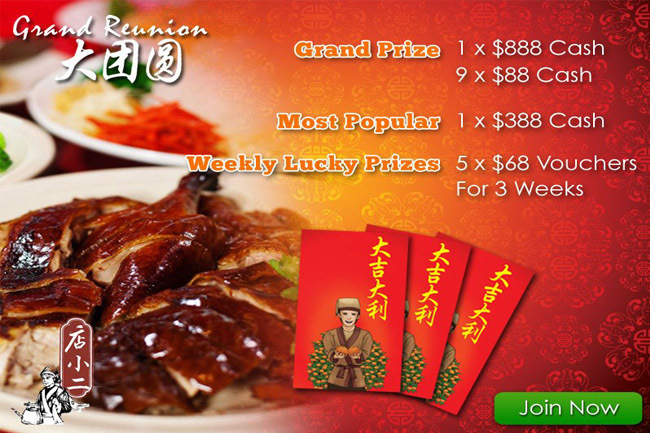 All qualified tables stand a chance to win the grand prize of $888 Cash for the Host and the fans of that table will win one of the 9 x S$88 Dian Xiao Er voucher. For one lucky qualified table will be randomly selected at the end of the contest. 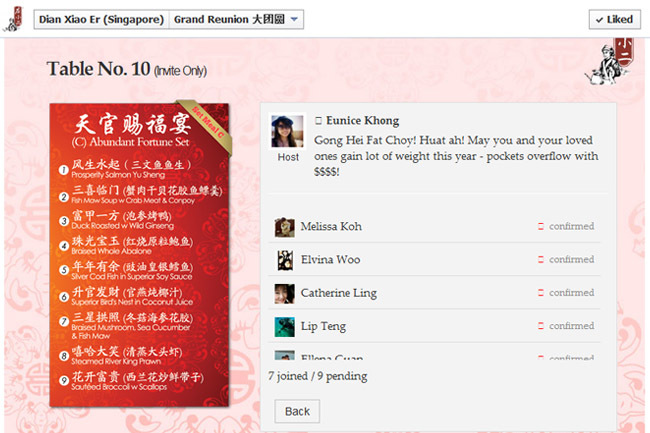 This contest starts on 10 January 2013, at 12.01am and ends on 9 February 2013 at 11.59pm (Singapore time). 1. 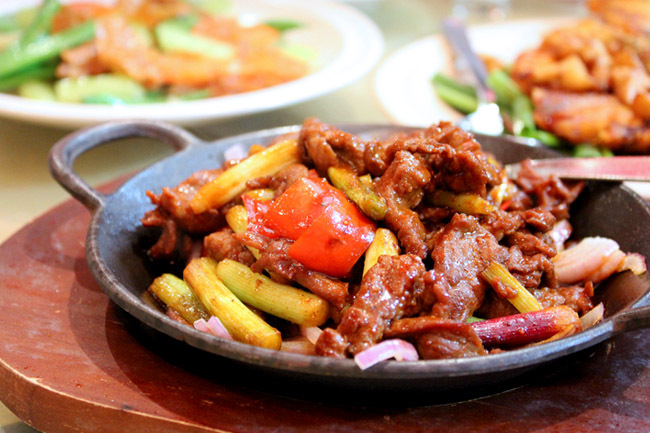 You have to ‘like’ the Dian Xiao Er fan page to enter the contest. 3. Fan(s) can also join any table opened to them. Each table can only accommodate up to 10 people including the host, and that table is considered ‘qualified’. May we all HUAT and win! *The above entry is an advertorial.